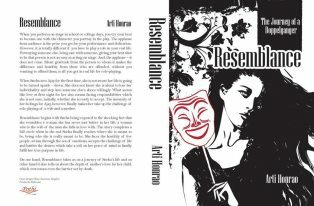 I have known Arti for the past couple of years and have always admired her writing style for its simplicity and emotions. I was one of the few lucky people to have ordered this book when she had kept it on Pothi for few days just for selected audience. And I must say I am feeling really on top of the world to have read such a wonderful tale of love and relationships. The very first thought that came to my mind as I finished reading this book was Wow! Wish this was possible! Like always Arti Honrao has managed to touch hearts, move to tears and still leave you with a smile by the time you finish the book. Human relationships have been depicted very beautifully here with liberal dose of love which has the capacity to overpower the supernatural as well. The beautiful bond between a mother and a daughter has been showcased in all its grandeur making you feel blessed to have witnessed it. I truly like the simple, lucid and touching writing style of Arti where the choices of right words create the desired impact on the reader leaving him on an emotional high. This book is truly a treasure for all book loves purely because of its high emotional quotient and is highly recommended for people who love reading beautiful stories filled with love. The most wonderful aspect of her writing would be her ability to breathe life into completely lifeless characters as she makes them come alive page after page, emoting feelings and tugging your heart leaving you moved by the entire experience. Thank you so much Arti for giving me the chance to witness something as beautiful as this as love in its pure form is something very rare in today’s world! 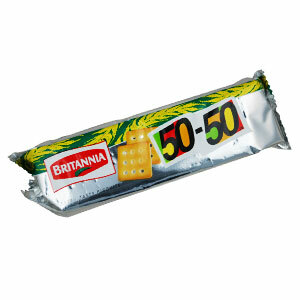 This book is like 50-50 biscuits - thoda sweet, thoda salty!! I am not able to find her books at all! but I am glad I get to know what she writes on! Do check out the link given above to her blog... you will find all that she writes on. And yes I agree she writes beautifully! !